Author: Littlewood, Ian Set In . . .
Venice has through the centuries attracted an extraordinary range of writers, drawn to it for inspiration, for consolation, or for the sheer pleasure of is unique setting. That so much of the city remains unchanged gives their words a powerful hold over our imaginations today. In this extravagant theater, writes Littlewood, we are as likely to chance upon the site of the murder of a Renaissance prince as the seduction of an eighteenth-century nun; the execution of a dissolute friar as the musings of a Victorian poet. All have their place in these pages, including the writings of Byron, Goethe, James, Proust, Lawrence, and Pound, among others. 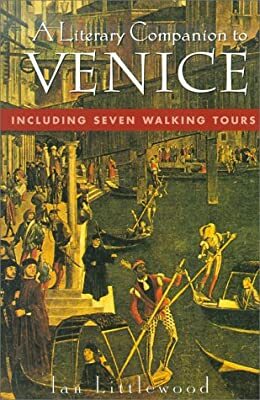 Arranged in the form of seven detailed walks through Venice, this Literary Companion provides an illuminating guide to the streets, palaces, churches, and canals that make up this exquisite city. Venice's hidden corners-rife with feuds, rivalries, and romance-have never been brought so vividly to life.